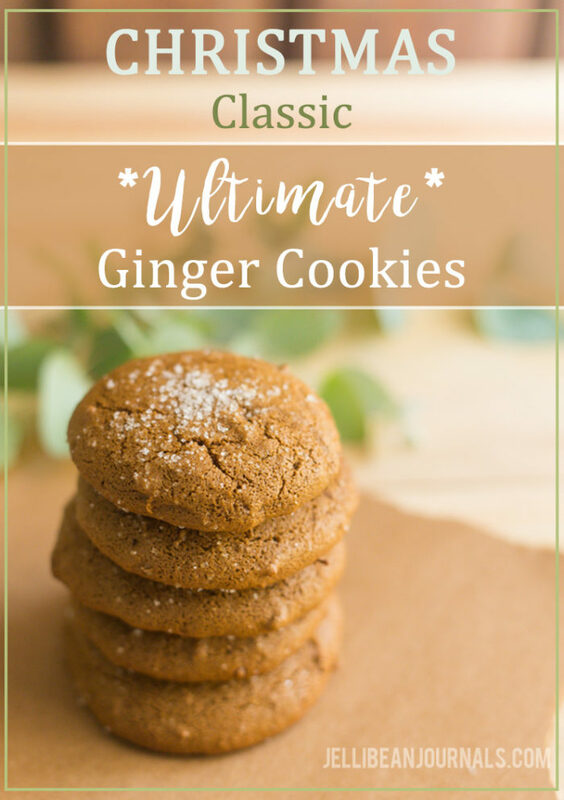 There’s no denying the bright fragrance of crackle-topped ultimate ginger cookies wafting from your oven. Laced with cinnamon, nutmeg, ground cloves, molasses, and fresh ginger, these traditional Christmas cookies will find they way straight to your heart! It’s been over half a decade since my pantry has kept the deep, spicy flavor of molasses deep in the darkest pocket of the top shelf. While Costa Rica is a sugar producing nation, most locals scratch their heads in confusion when you ask them where to buy melaza, or molasses, as we call it in English. Imagine my surprise when I spotted an inexpensive bottle of molasses in the natural foods store…. where I’d actually popped in to pick up a travel-size bottle of organic shampoo. Score! Nine years together. My husband and I recently got away for an anniversary weekend in La Fortuna, near the country’s most popular volcano, Volcan Arenal. We stayed at a fabulous locally-owned hotel a short distance from the town square, where I unassumingly ventured into said natural foods store while Husband browsed the ice creamery next door. If you ever find yourself in Costa Rica, do put La Fortuna on your itinerary. Though my family lives only a few short hours away, we’d only visited once before. There are loads of ways to discover the area. We chose to go take a spa day at the natural hot springs of Tabacón, kayak on Lake Arenal, try the most fabulous authentic cheesecakes I’ve ever tasted in Costa Rica (multiple times), and relax on the porch swings at the hotel chatting up the friendly owners. 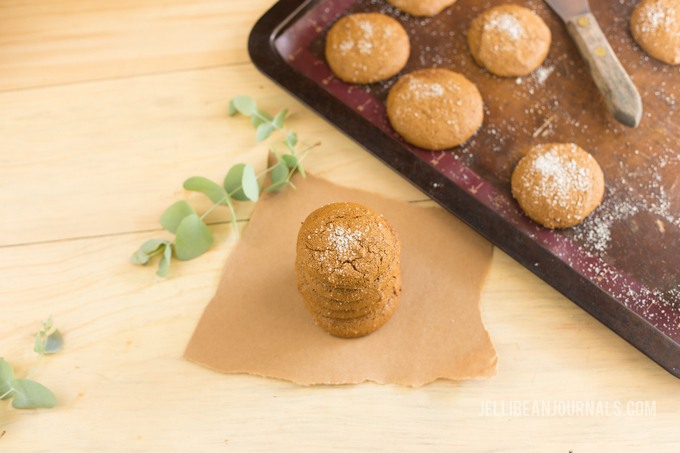 When I got home, armed with molasses, it was ginger cookie baking time! Ginger cookies will be set before tonight’s gracious guests, visitors from Mexico, who are sure to appreciate the spicy tone of these magnificently flavorful ginger cookies. After all, these are the people who put hot chilies in their chocolate. To be honest, I wasn’t sure my three children would down these cookies because they’re so gorgeously spicy. Unfortunately for my daydreams of hoarding ginger cookies myself, all three kids loved them. 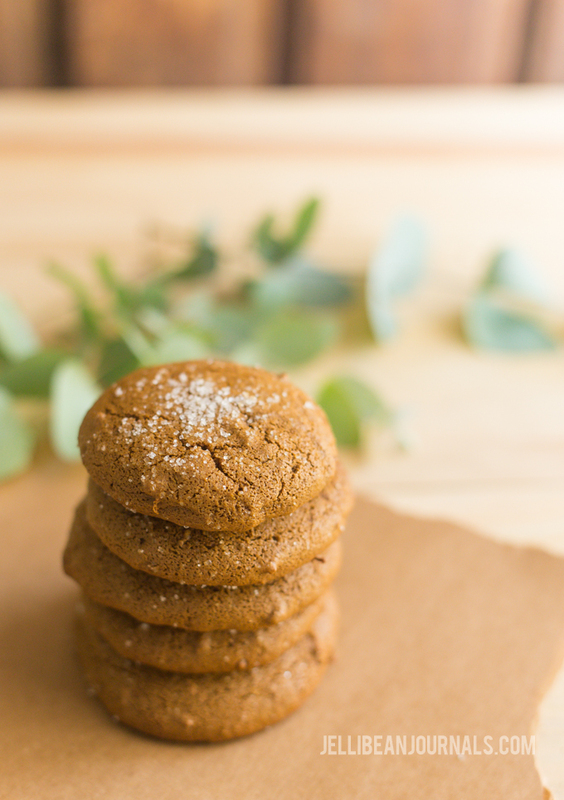 The big, bold flavor punch isn’t the only boast of these from-scratch ginger cookies. They’re cakey- that’s right, cakey! Now, I love me a chewy chocolate chip cookie, but it’s fun to change up the texture with lighter, fluffier, cookies from time to time. They’ll be a standout Christmas cookie for your holiday baking trays! What are we waiting for? Let’s bake! In a large bowl, whisk together flour, sofa, spices, and salt. Set aside. In the bowl of an electric mixer beat brown sugar, oil, and molasses on medium speed for 5 minutes. Add the egg and beat one minute. Scrape down the bowl and beat another minute. On low, add the dry ingredients to the wet just until combined. Add in ginger and mix to combine. Using a cookie scoop or tablespoons, scoop out cookies onto lined baking sheets. Sprinkle with granulated sugar and bake 13 minutes. Cool 2 minutes on the baking sheet before placing ginger cookies on a cooling rack. More Christmas cookies you’ll love! Happy holiday baking from my kitchen to yours! Ginger cookies are a staple in our house at Christmas time. I make batches of them and they get devoured as soon as I make them. Yours sound incredible. I love freshly baked cookies. These are perfect for the holiday season and I bet they smelled fantastic when they were baking. My great grandma used to make the most amazing ginger cookies. The aromas while baking left the entire house smelling so holiday-ish *smile* I miss her and miss baking with her. I love the addition of the freshly grated ginger. I bet the flavor in these is incredible. Cookies are a great gift to share too. These look delicious! Perfect for the holidays. I love the slight spiciness of a ginger cookie. This recipe sounds so delicious. I can’t wait to make this over the weekend. Thanks Jenn, please do stop by and let me know how they turned out! Oh, my family and I really love a good ginger cookie – sometimes, they don’t turn out so well when I attempt to bake them. (I’m not the best baker ☺) I will have to give this recipe a try because your ginger cookies look amazing! Aw, thank you so much, Teresa! These cookies are fairly simple. I’ll bet you’ll rock them! These cookies look delicious. 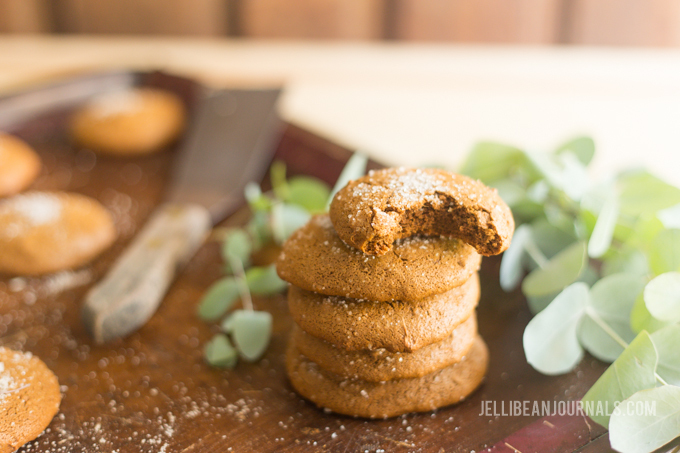 I love making (and eating) ginger cookies around Christmas. 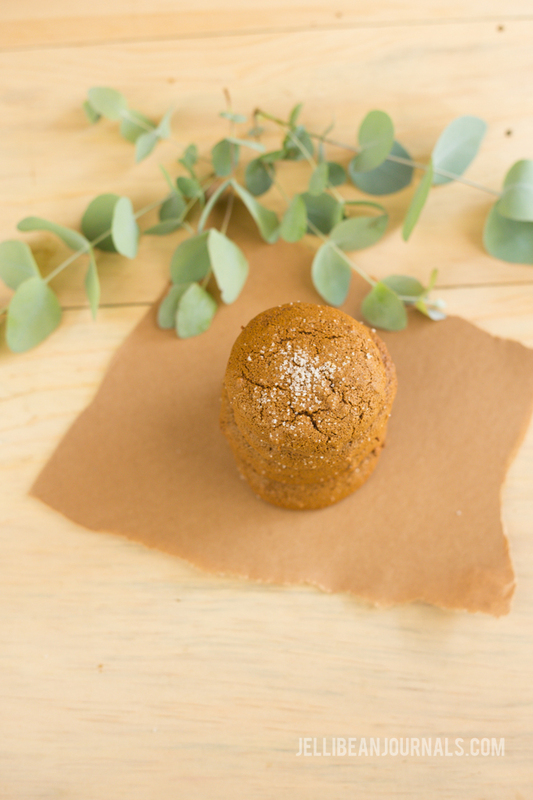 Ginger is such a perfect warming spice for the cold weather we get up here in the States. 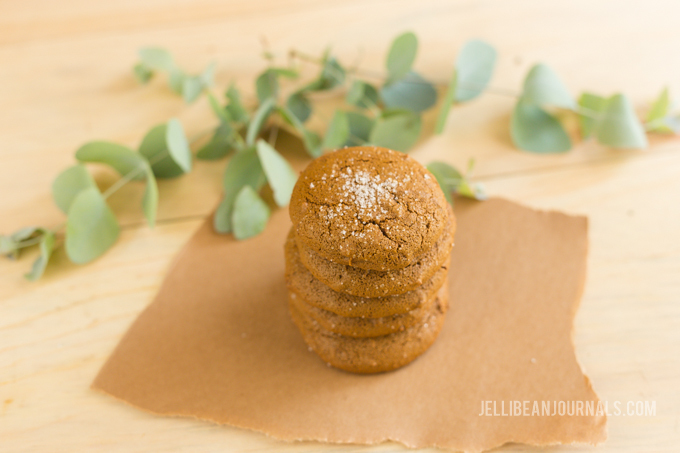 My husband’s favorite holiday cookies are ginger. Definitely going to have to try this recipe that is different than my usual boring one, lol. My dad has always been a huge fan of ginger cookies. These looks really tasty. You have to have just the right amount of rise otherwise they are too hard. Could you expand on the rise, Lisa? Since this is the only ginger cookie recipe I’ve ever used, and they turn out soft, I’m not sure what you mean. Mmm, ginger cookies are some of my favorites. These look scrumptious. I’ll be making them soon! 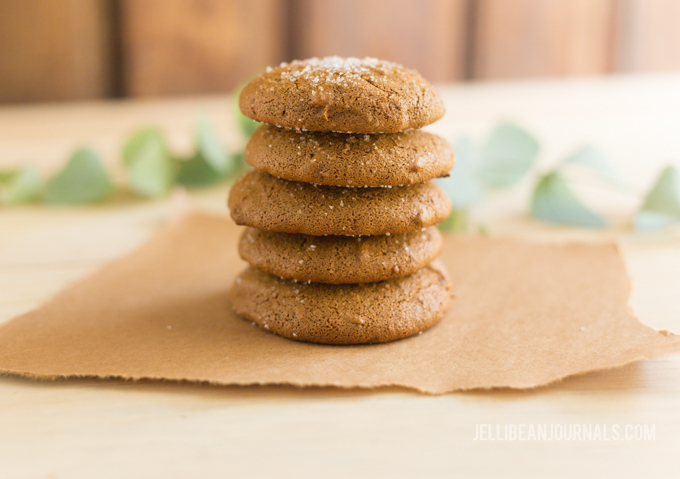 Ginger cookies are my favourite Christmas cookie recipe! I make them every year! They are the ones that my family all requests!! I’ll have to try this recipe this year! I have always been fond of ginger cookies. It’s probably the fact that my grandmother always had gingersnaps in the cookie jar! These are so thick and chewy, my favorite! 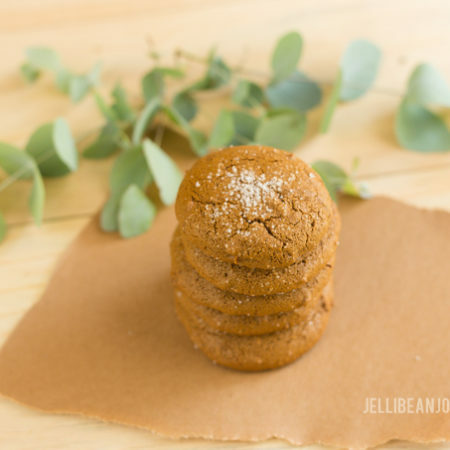 Ginger cookies are one of my favorites. I will have to give this recipe a try. It would be great for my cookie exchange this year. These Ginger cookies do look ultimate and the last word on cookies! Looking at them, if I were to make them, I guess I too would not like to share them! that is how tempting they are. Oh wow. I haven’t had ginger cookies in a long time! My grandmother made these often and me, my siblings and cousins would patiently wait for them to be done. Those memories! I will try your recipe and it would feel so good to relive those days with Nana. We love ginger cookies (pepparkaka) here, they’re not the softer type like you posted but thin and crisp. I’m excited that I’ll now be able to let my Swedish friends test the ginger cookie I grew up on in the US. We can’t get molasses here, but we do have Muscovado Syrup, which I’ve used as a substitue in gingerbread. Hopefully it will work inn the cookies. Did you get to see Arenal? The two times we visited it was foggy, but still a fantastic area to visit. These are so pretty and sound so good! I need to try making these, I love how good they look and how pretty they’ll be to display this holiday season! Yum. I have actually decided to make cookies for the holidays this year and I cannot wait. I am going to add these in too, yum! Great! So happy to hear that your friends and neighbors will be enjoying some Christmas cheer served up cookie-style this year. Hope you love the ginger cookies, Jeanine. This is interesting. I have never tried ginger cookies but reading other comments make me excited to try this. Trying this out this weekend and see if I can serve this on Christmas. Thank you for sharing. Sheila, I’d love to know how your ginger cookies turn out! Hope your family gobbles them down. Thank you for taking a second to stop by this busy holiday season! Wow, ginger cookies are really tasty. I got to admit, that I haven’t tried them for quite some time, but I’m actually very eager to do so. Thanks a lot for sharing those with us! You betcha, Carla! I hadn’t had ginger cookies for ages either, and my goodness are they delish. In fact, I just served them this morning for a Christmas Eve brunch and our friends gobbled them down.